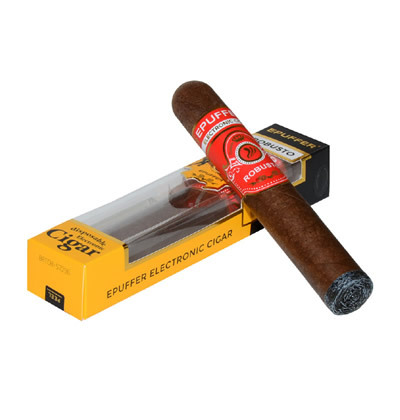 Robusto Disposable Electronic Cigar features premium Cuban Cigar taste and lasts for approximately 1200 puffs, which is equivalent of around 10 cigars. We’ve spent 9 months adapting, testing and developing the model to offer the ultimate cigar smoking experience and with a range of features we’re confident we’ve now got this cigar just right. 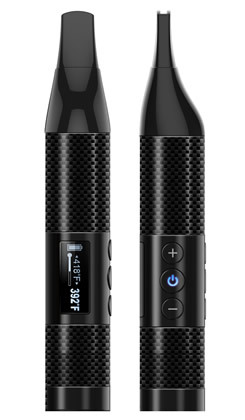 It’s the first to offer a real cork mouthpiece that tells your brain you’re smoking the real thing, vape time is about 180 minutes, it offers the same amount of smoking as 10 real cigars would. Yet it’s highly competitive in price. Pre-charged and ready to use right out of the pack. 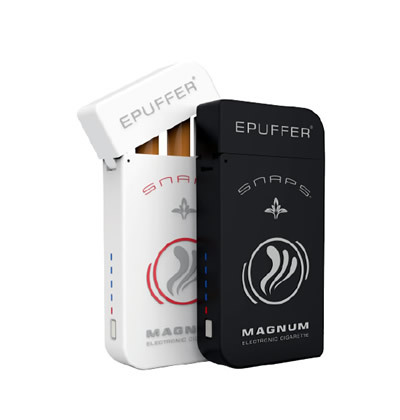 Provides up-to 1200 enjoyable puffs. Patent-Pending Engineered Cork soft-tip mouthpiece. 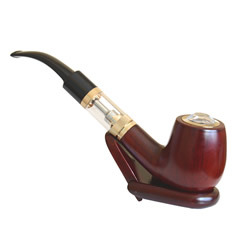 The device has no flame, no tobacco and no harmful carcinogenic ingredients. The LED ash tip of the cigar lights up as you inhale. Cigars are usually given as a decadent gift, a luxury item that is sourced from overseas, matured before being delivered to the recipients. We’ve capture the eminence of this in our very own Robusto. All you have to do is vape it and see, we’re confident you’ll adore it. Have been enjoying the E-650 & E-900 for many years. Decided to give the Robusto Disposable a try. Took one puff and immediately ordered a box of twelve! Love it, love it! The best ecigar on the market. I just ordered my second carton. I love the idea of the soft cork mouthpiece on Robusto model, makes a big difference.